Welcome to PanGo's inflatables obstacle course. Here, you will find a variety of obstacle courses to choose from for entertainment at any event. Featuring inflatable obstacle courses have proven to be a crowd pleaser and a great way to attract a lot of people. Set up an obstacle course inflatable bouncer at any event and watch the competitive spirits rise and the entertainment take care of itself. The inflatable obstacle course is a team sport, through the cooperation between team members to complete the game, which undoubtedly increases the tacit understanding between team membersObstacle courses also facilitate improving interpersonal relationships among a church community, corporate office or even amongst family and friends in the neighborhood. 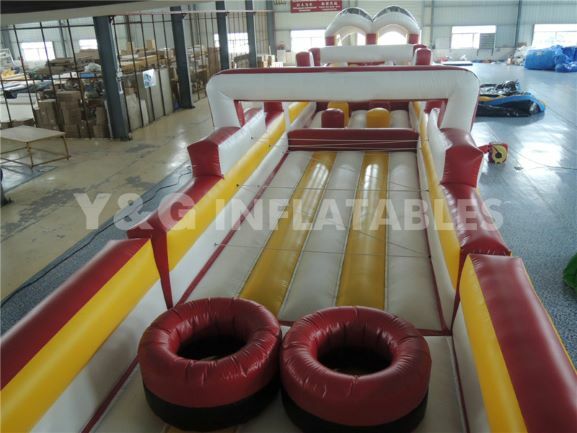 At PanGo inflatable obstacle course, we offer an inflatable obstacle course bouncer for almost any theme, and can even make custom inflatable obstacle courses to fit your design ideas. 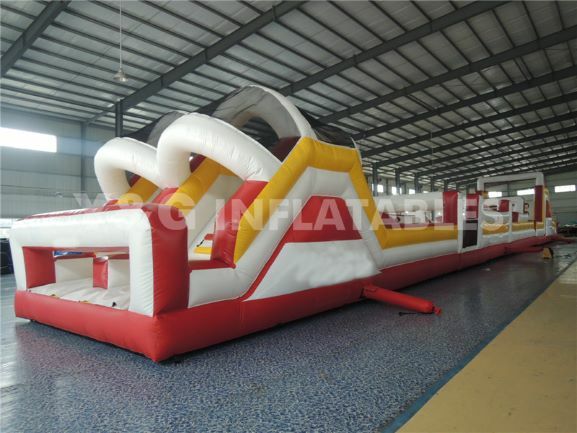 In the production process, we have passed many professional tests, so you don't need to worry about the quality at all.We have different models of inflatable obstacle course for you to choose from,If you set up an inflatable obstacle course outdoors, it will attract many visitors.But if you want to keep things private, we also have indoor inflatable obstacle courses that would be great for use in family fun centers or even in large indoor venues. Whether you want obstacle courses to entertain adults or children, you will find that PanGo's inflatable obstacle course has exactly what you are looking for.